Central AC Repair NJ – Here at Aladdin Plumbing & Mechanical, we provide an affordable central AC repair in New Jersey for many years . 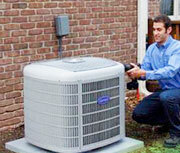 There are few common central AC system problems that would need professional assistance. Your central air unit could be not turning on; this would require a fine AC tune-up. There could be Poor Air Flow which would require AC filter replacement. The central air conditioning unit could have a short on compressor cycle and this AC problem may require an AC system tune up. 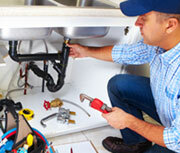 Aladdin Plumbing & Mechanical can assist with central AC repair in NJ at great prices. Aladdin Plumbing & Mechanical provides both residential and commercial clients in New Jersey with emergency central AC repairs. Whether you own a townhouse or are the landlord of a large office building, we are here to help you. 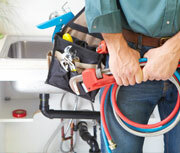 We offer both 24 hour emergency repair as well as preventative maintenance on your central AC systems. The expert technicians at Aladdin Plumbing & Mechanical are experienced and certified to work on many of the major central AC manufacturers that are commonly found in both homes and businesses throughout NJ. Whether you own a Ruud, Carrier, Lennox, Amana, Rheem or other central AC unit, our trained and experienced professionals can ensure your system gets repaired and stays in top shape throughout the hottest days of Summer. You can count on us to get the job done right the first time. 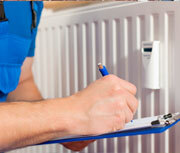 Our central AC repair technicians are full insured, licensed and bonded ensuring that our work is of a high standard. If you would like to know more about our NJ Central AC repairs, call Aladdin Plumbing & Mechanical and speak with one of our professional team members today.